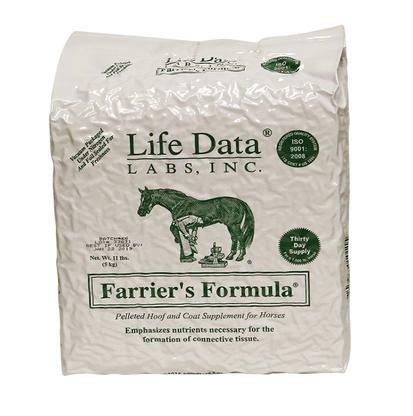 Farrier's Formula and Farrier's Formula provide nutrients such as phospholipids, omega fatty acids, and important amino acid "protein building blocks" that enable horses to build strong structural and connective tissue proteins that are important for healthy hoof structure and growth. 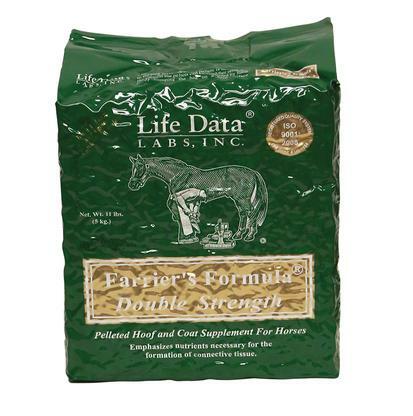 Farrier's Formula Double Strength is a pelleted hoof supplement that can be added as a top dressing on the regular feed or given separately. 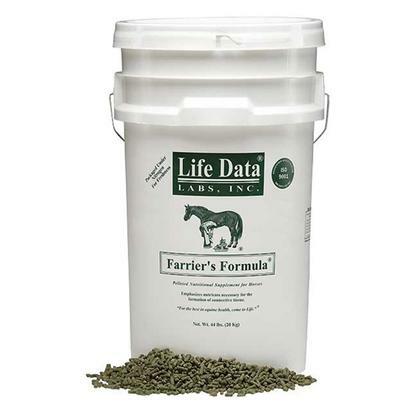 It provides nutrients such as phospholipids, omega fatty acids, vitamins, minerals, and important amino acid for a healthy hoof and hair coat.